Forum Systems and the security community need your help in raising API Security awareness. Forum Systems has been at the forefront of API Security for over 16 years. Our relentless efforts in educating IT professionals on how best to expose their IT assets securely via APIs has paid off: OWASP has recognized API Security as a Top 10 vulnerability as a part of its 2017 Release Candidate 1 (RC1). OWASP has finally dipped its toes into the API Security waters. The API waters run deep and can sink every enterprise IT component with security vulnerabilities that impact network devices, load balancers, application servers, ESBs, databases and even legacy mainframe systems. No component is immune since almost all components expose their functionality via APIs. It is for this reason we are asking your help in reinforcing the need for API Security. 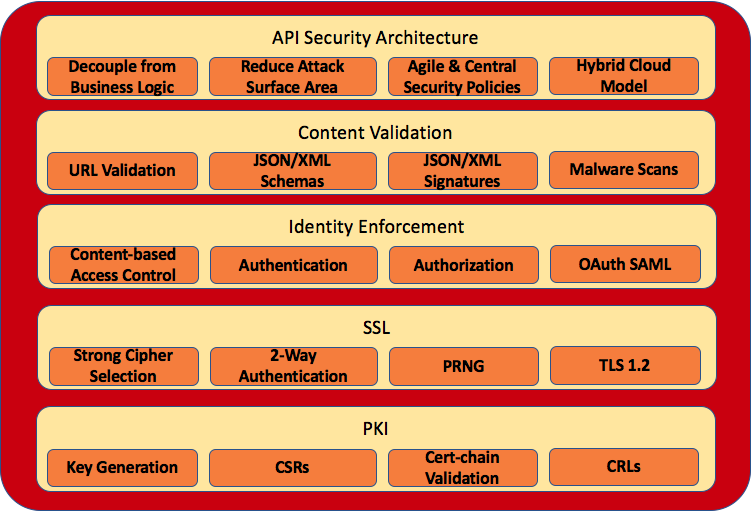 The OWASP 2017 RC1 includes A10 – Unprotected APIs. We believe that A10 should be ratified in the OWASP Top 10 2017 to ensure that API vulnerabilities are actively addressed by the security community. For example, see the excellent and very polite discussion on the emphasizing XXE. Thank you for your efforts, we look forward to continuing our work with security thought leaders and the API community in making enterprise and cloud APIs secure. The flensing began rather quickly with the OpenBSD team cleaning up 90,000 lines of code within a week of Heartbleed. OpenSSL then got royally fṓṝked by OpenBSD and LibreSSL was born. The divergence between OpenSSL and LibreSSL continues while OpenSSL fights against change and LibreSSL tries to modernize and flense the OpenSSL codebase. This is as serious as it gets. Heartbleed exposes your corporate private keys. Your crown jewels, your keys to the castle….well you get the idea. Your corporate privates are indeed exposed, they may not have been stolen yet, but they are unequivocally exposed through Heartbleed. It took researches less than 3 hours to extract private keys from a server as a result of a challenge issued by CloudFare.